Reviewing his first full year as president and chairman of Amtrak, W. Graham Claytor, Jr. highlighted the achievements the company had made toward lowering costs and maximizing available resources. “I am committed to running as efficient a railroad as any in the country, and to providing the best transportation service offered by any carrier,” he declared. 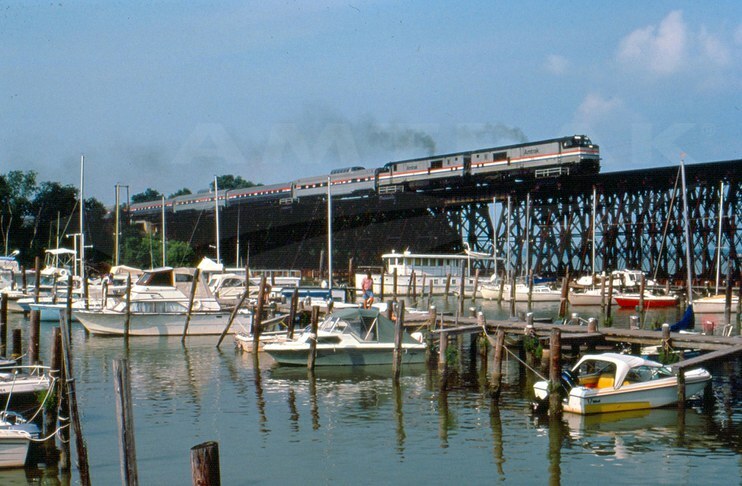 Although the nation was recovering from a recession and intercity rail travel faced increasing competition from the airlines, which were in the process of deregulation, Amtrak managed to maintain steady ridership and increased revenues by 8.1 percent in fiscal year 1983. The company covered 54 percent of its total operating costs with revenues, and in the Northeast, regional routes passed the break-even mark for the first time since Amtrak began operations in 1971. The California Zephyr was born out of the reroute of the San Francisco Zephyr in the summer of 1983. Claytor attributed the year’s successes to capital investments, improved labor productivity and service modifications undertaken to improve routes’ financial performance. Recent capital investments encompassed the rebuilding and modernization of maintenance facilities including the Chicago Yard, as well as delivery of new, standardized equipment such as the Amfleet II cars used on long-distance routes. The Joint Labor/Management Productivity Council met regularly to examine work processes and recommend productivity improvements. A key service initiative was the summer reroute of the San Francisco Zephyr (Chicago-Cheyenne-Oakland/San Francisco) from southern Wyoming through Colorado and Utah. This was made possible by the Denver and Rio Grande Western Railroad’s (D&RGW) decision to discontinue its Rio Grande Zephyr (Denver-Salt Lake City), the country’s last privately operated intercity passenger train, which operated over the Colorado route. 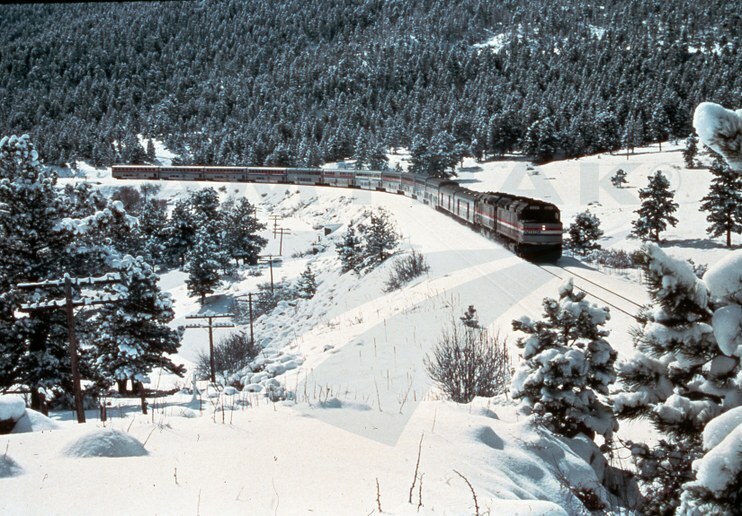 The D&RGW route along the Colorado River was considered “more scenic and marketable” and offered links to major ski resorts. To celebrate the reroute of the San Francisco Zephyr to the D&RGW tracks, the train was renamed the California Zephyr (Chicago-Salt Lake City-Oakland/San Francisco). In addition to route adjustments, Amtrak made improvements to passengers’ on-board service experience. 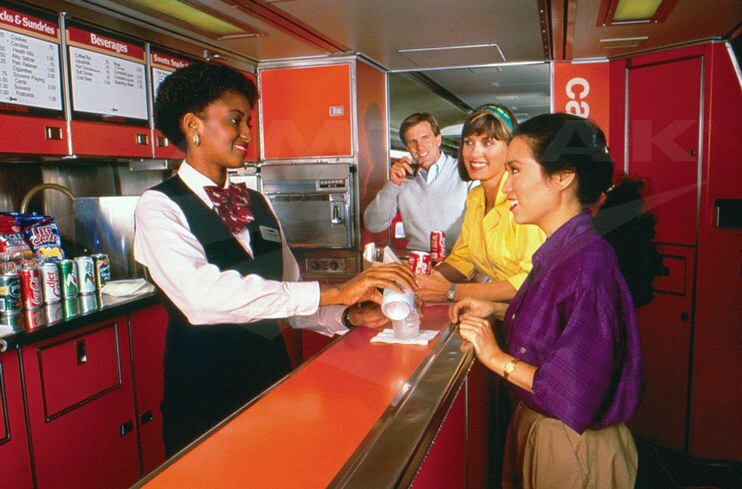 Expanded dining, snack bar and lounge car menus offered a greater variety of meal options as well as low calorie choices in keeping with the contemporary focus on health and exercise. Skilled workers at the Beech Grove, Ind., heavy maintenance facility rehabilitated Vista-Dome coaches for use on the Auto Train, City of New Orleans (Chicago-New Orleans) and Capitol Limited (Washington-Pittsburgh-Chicago), thereby offering riders wonderful views of the passing landscape. variety of meal options including low calorie choices. The establishment of the toll-free 1-800-USA-RAIL telephone number created one point of contact, available 24 hours a day, for passengers interested in making a reservation or learning about Amtrak trains. Customers could also book tickets through one of more than 10,000 authorized travel agents. Meanwhile, through aggressive expansion, overseas sales outlets increased to 74 locations in 38 countries. Travel agents were invited to learn about the Amtrak system through a new Marketing department program called “School on Rails”; it included a train ride and talks about accommodations and service improvements. One of the most noticeable initiatives was the On-Board Chief program introduced on long-distance trains. The chiefs worked solely on the trains, where they handled customers’ concerns, supervised on-board personnel and maintained quality control. By the end of fiscal year 1983, approximately 160 chiefs were deployed across the national network. An eight percent drop in the number of passenger complaints over the previous year was largely attributed to their presence. the comfort, reliability and convenience of rail travel. Upgrades to the rail line between Washington and Boston continued under the Northeast Corridor Improvement Program. Crews installed 502 track miles of continuous welded rail and 397 miles of concrete ties (more than a million ties) in fiscal year 1983. Major signal and interlocking rehabilitation began at 29 locations, and catenary replacement occurred between New Rochelle, N.Y., and the East River tunnel leading to Manhattan. The community of New London, Conn., celebrated the renovation of its historic depot, and station work progressed at Baltimore, New Carrollton, Md., Wilmington, Trenton and Newark, N.J. Carrying through an initiative begun by prior Amtrak President and Chairman Alan Boyd, the company examined ways to generate non-transportation revenue. Complementary or alternate uses were identified for real estate assets, while outside work was sought for the skilled employees at maintenance facilities. Amtrak and MCI signed a 20 year lease under which the communication company would install and operate a fiber optics system along the Northeast Corridor right-of-way between Washington and New York. Amtrak had free use of four fiber pairs; extra capacity could be resold to other users. At Beech Grove, workers moved ahead with the assembly of 290 cars intended for the Washington, D.C., metropolitan subway system. Touting improvements to services, equipment and stations, the company unveiled the “All Aboard Amtrak” marketing campaign. It stressed the comfort, reliability and convenience of rail travel. 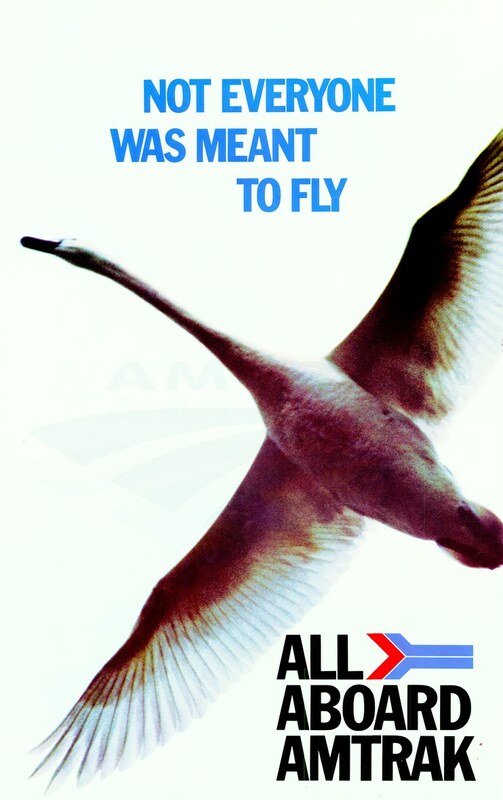 One of the most famous pieces of advertising art associated with this campaign was a poster featuring a goose, wings outstretched, with the phrase “Not Everyone was Meant to Fly.” Through a simple image and tag line, Amtrak highlighted passenger rail as a pleasant alternative to air travel. 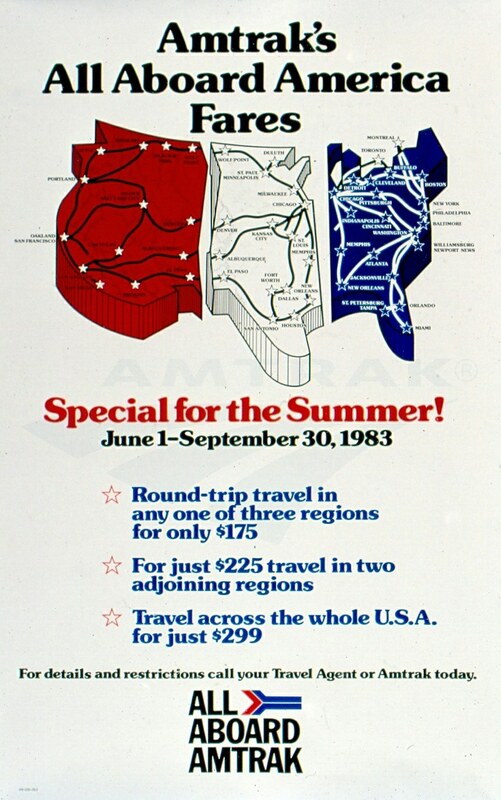 In conjunction with this marketing effort, the company introduced the “All Aboard America Fare,” a promotional program offering discretionary travelers discounted prices on long-distance travel. Amtrak also strengthened its workforce by implementing a nationwide Equal Employment Opportunity training program directed to supervisory and management employees. According to the annual report, participants viewed films and discussed case studies. The System Safety Program, in which employees received training in workplace safety, was credited with a major 34 percent drop in the lost-time injury rate over the previous year. The initiatives of 1983 would set the tone for Claytor’s more than a decade at the helm of Amtrak, during which department heads and employees were encouraged to always consider the company’s bottom line. A goal to cover 100 percent of short-term avoidable costs with operating revenues meant that any significant action that might improve financial performance—whether changes in routes, on-board services or internal procedures—should be examined. National Railroad Passenger Corporation, Annual Report (Fiscal Year 1983). All quotes, unless otherwise noted, are drawn from this report.